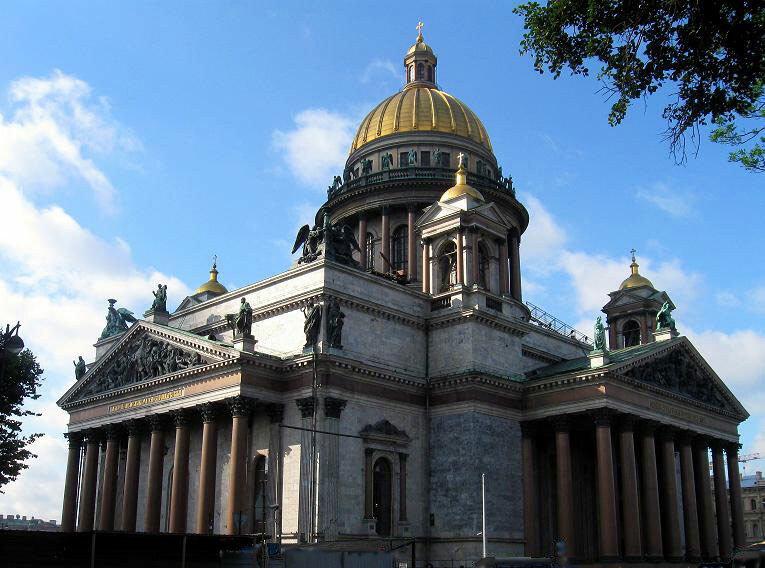 St. Isaac`s Cathedral (1818-1858), architect Montferrand. The golden dome of St Isaac's can be seen from any part of the city, and in clear weather even from the suburbs. It’s the world's third-largest domed cathedral and the first monument you see of the city if you arrive by ship. Ricard de Montferrand started proceedings in 1818. He devoted his life to the project, and died the year the cathedral was finally consecrated at 1858.